So you think you know Victoria? Well, think again! To many people, Victoria is either a station they come in to on their way to work, or for a visit to London; or it's a district in London that is made up of soulless office blocks and teeming, traffic clogged streets that they hurry through or get stuck in - dependent on the time of day - en route to London's more salubrious neighbourhoods. 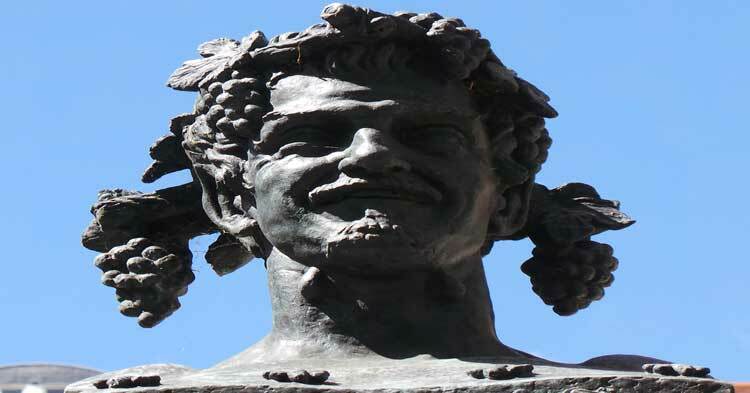 But, if you take your time to explore Victoria, which is exactly what you will do on this fascinating treasure hunt, then you may well find yourself pleasantly surprised, not to say nonplussed, by the hidden treasures it has to offer. And, rest assured, there are many of them. That's not to say that Victoria doesn't have its busy thoroughfares, because it does. However, you'll be able to cross them courtesy of a traffic halting device that is named after a man whose former abode you will encounter in the course of the treasure hunt. Which just goes to show, we waste nothing on this intriguing quest as we fill every unforgiving minute with sixty seconds worth of distance run - or, in this case, walked. So, having set off into the busy streets, you'll soon leave behind the major arteries, that plough their way through the neighbourhood, to find yourself confronted by the more refined surroundings of genteel squares, delightful old houses and railed off gardens, not to mention a few choice examples of street art, both old and new, all of which will prove an absolute joy to discover. Here, the roar of the traffic will be reduced to a distant murmur and the teeming tide of humanity, that washed around you in the initial moments of your quest, will be replaced by a few idle stragglers who are as absorbed as you are in the curiosities that abound in this sleepy backwater, just a stone's throw from Victoria Station. You really will be amazed by the good folk whom you will encounter as you make your way around the treasure hunt route. Winston Churchill crops up a few times, as does St Augustine. The Pankhurst sisters, Colonel Blood (who he? ), charity children in coats of many hues (such as the boy in blue - or blew as it is spelt on the plaque - pictured to the right), and Prince Albert also manage to find their way onto the Victoria treasure hunt, either as bit players in our cunningly contrived cryptic clues, or as answers to our fiendishly thought out observation and photo challenges. No matter what their involvement, discovering them will provide you with numerous "WOW" and "well, I didn't know that" moments, and that's a promise. Indeed, it's safe to say that you will uncover so many amazing, intriguing and fascinating facts and places, as you make your way around the route, you'll be just itching to return to the area and explore its secret streets at a more sedate pace and under less competitive circumstances. Not that you'll be racing around on this treasure hunt. Indeed, the secret to winning is to take your time and pay close attention to your surroundings as you seek out those little nuggets of information, those tiny morsels of mystery, that will increase your score and will bring you, step by slowly taken step, ever closer to the ultimate goal of outright treasure hunt victory. 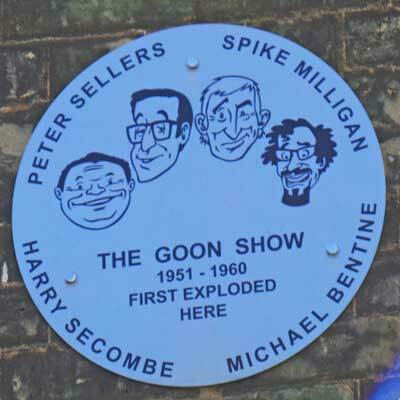 The Goon Show first exploded? Cromwell's Latin secretary buried two wives? 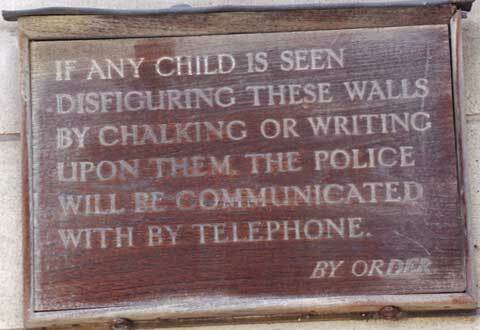 The quaint old sign to the right (perhaps an early version of an ASBO?) is located? Winston Churchill was residing when his country called upon him to save the day during its darkest hour? The lady, who was brought to England to prepare Scotch broth for King James Ⅱ, died? Cornelius Van Dun allowed poor women to live rent free? Belle the elephant walked to in 1872? If you don't know the answers to any, or all, of the aforementioned questions, worry not, for, by the time you cross the threshold of our finishing venue, you'll have learnt all these fascinating facts, and many more besides. You won't need any prior knowledge of the history, layout or geography of Victoria to complete the treasure hunt. In fact, prior knowledge can place you at a distinct disadvantage as, with it, you'll be inclined to think you know what you should be looking for, as opposed to devoting your energies and attention to what you should be looking for. As with all our treasure hunts, the devil resides in the details - or, to be precise, on the plaques, statues, information boards, old buildings, colourful pub signs, such as the one pictured to the right, and hidden churches that you will encounter as you and your team mates make your way around the area. Only by adhering strictly to what the cryptic clues are instructing you to do can you hope to stand any chance of completing the tasks at hand. And, to do so, you will need to read the clues carefully and thoroughly, as opposed to quickly scanning them and thinking you have got the gist of what you're being asked to do. You'll also need to keep your eyes open for the solutions to the cunningly concealed observation questions and photo challenges as and when they present themselves to your eagle eyes. The answers are most certainly there, the question is will you be able to locate them? So, no matter what the occasion, be it a team building exercise, an office get together, a birthday, hen party, or other notable occasion, a treasure hunt around the backwaters of Victoria is, quite literally, right up your street. You'll get out and about on the streets of London; you'll discover some amazing facts; you'll delve into some wonderful and tucked away places; and you'll enjoy some gentle exercise into the bargain. What's not to like! Add to all the above the fact you'll be pitting your wits against colleagues who have had the misfortune of ending up on opposing teams, and it becomes a genuine battle of brain against brain, as you attempt to throw them off the scent and send them careering off in completely the wrong direction as, by fair means or foul, you ensure that it is you and your team mates - as opposed to them and their team mates - that emerge victorious and find yourselves hailed as the Victoria treasure hunt champions. The cost of the Self Managed Victoria Treasure Hunt Package is £140.00 for 4 packs.